Missouri Gov.-elect Eric Greitens issued a statement today voicing his opposition to state funding for a soccer-specific stadium in St. Louis. The Missouri Development Finance Board is set to vote tomorrow on a request from St. Louis for $40 million in tax credits for the stadium. Neither a spokesman for Greitens, believed to be 21-year old Austin Chambers, nor a representative for SC STL, the local group looking to bring an MLS team to St. Louis, were available for comment, according to the St. Louis Post-Dispatch. St. Louis Mayor Francis Slay’s office has proposed a tax proposal that would put $80 million towards to stadium, estimated to cost $205 million. The proposal is tied to a sales tax proposal that would increase the sales tax in the city to help fund the proposed North-South MetroLink line, among other things. An increase in the city’s “Use Tax” would generate the $4 million per year necessary to back the bonds for the stadium project. 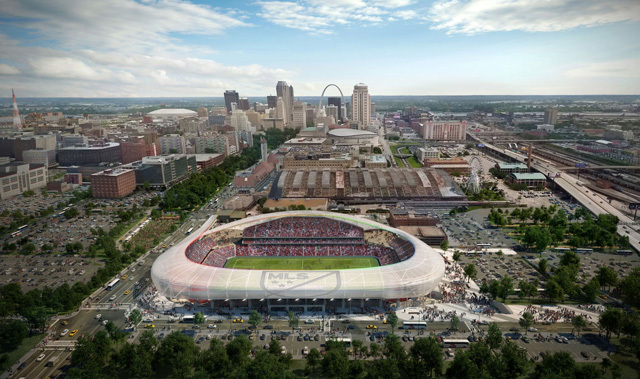 The city of St. Louis would then own the stadium fully and lease it to the St. Louis MLS team. It would also be free to rent out the stadium for other uses. Greitens is set to take office in Jefferson City on January 9, 2017. News about his planned transition has been scarce, as his transition team is working under a gag order. One of campaign pledges for Eric Greitens was to make Missouri a more business-friendly state. 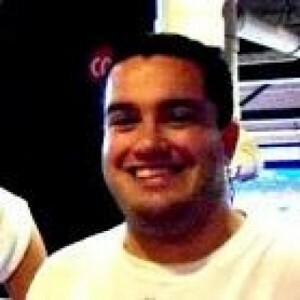 Members of the SC STL group include former Bain Capital Managing Director Paul Edgerly, World Wide Technology founder and CEO Jim Kavanaugh, Tortoise Capital Advisors founder Terry Matlack, Lodging Hospitality Managment Chairman and CEO Bob O’ Loughlin and former Anheuser-Busch President Dave Peacock. Jim Kavanaugh said he was disappointed and surprised by Greitens’ comments today on The Press Box with Frank Cusumano. Russia’s ambassador to Turkey, Andrey Karlov, was shot and killed today in Ankara, Turkey by a lone gunman. Karlov was giving a speech at the opening of an art gallery when a man shouted “Allahu akbar” and opened fire. CNN has graphic video of the shooting. With two promotional videos uploaded yesterday to YouTube, Showtime announced that Twin Peaks will be premiering on the network in 2017. One video features David Lynch in character as Gordon Cole eating a donut. Lynch will return to his role as the FBI Regional Bureau Chief in the upcoming reboot of the series. An exact premiere date for the show hasn’t been announced yet, but it is expected in the first half of 2017. Another video serves as a first look at what will be the third season for the show. Rouge One: A Star Wars Story earned an estimated $155 million over the weekend in its debut. The film easily took the weekend box office crown over the $11.7 million fourth weekend of Moana. Collateral Beauty brought in a disappointing $7 million in its debut. 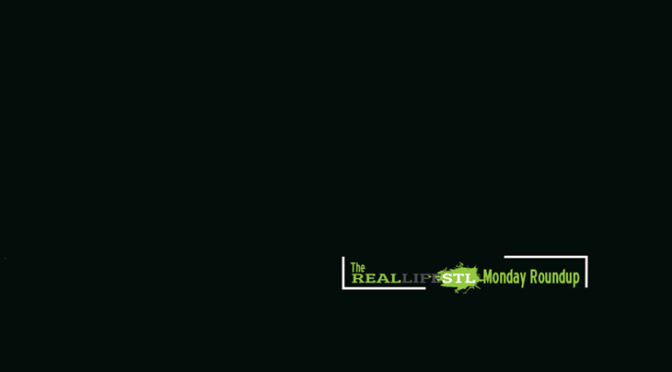 Check back to RealLifeSTL on Thursday for my Christmas Movie Guide. Sing, Passengers, A Monster Calls and Assassin’s Creed all open in movie theaters this week. The men’s soccer team at Washington University in St. Louis was suspended indefinitely on Friday by the school. The suspension is said to stem from sexually explicit comments and other inappropriate behavior towards the women’s soccer team at the school. The school cites a 2015 online posting that used “degrading and sexually explicit comments” in describing the women as well as “other inappropriate behavior” in a press release. Despite this story being picked up by outlets throughout the country like ESPN, Deadspin , Fortune, Forbes and more, nothing from the actual document that got the team suspended has been released. Private schools Amherst College, Princeton and Harvard have also recently suspended men’s athletic teams for similar behavior recently. Katy Perry posted two clips over the weekend on her Instagram account that teased new music from the singer. Both clips appear to be posted from within a music studio. One features Perry showing off a tooth that appears to be blacked out by permanent marker. All ten episodes of The Ultimate Beastmaster, hosted by Sylvester Stallone, will premiere on Netflix on February 24, 2017.